Relevance PHD1 catalyzes the posttranslational formation of 4-hydroxyproline in hypoxia-inducible factor (HIF) alpha proteins and hydroxylates HIF-1 alpha at Pro-402 and Pro-564, and HIF-2 alpha. It functions as a cellular oxygen sensor and, under normoxic conditions, targets HIF through the hydroxylation for proteasomal degradation via the von Hippel-Lindau ubiquitylation complex. It may play a role in cell growth regulation. Andersen et al. 2011. PLoS One. 6(8):e23847. PMID: 21887331. 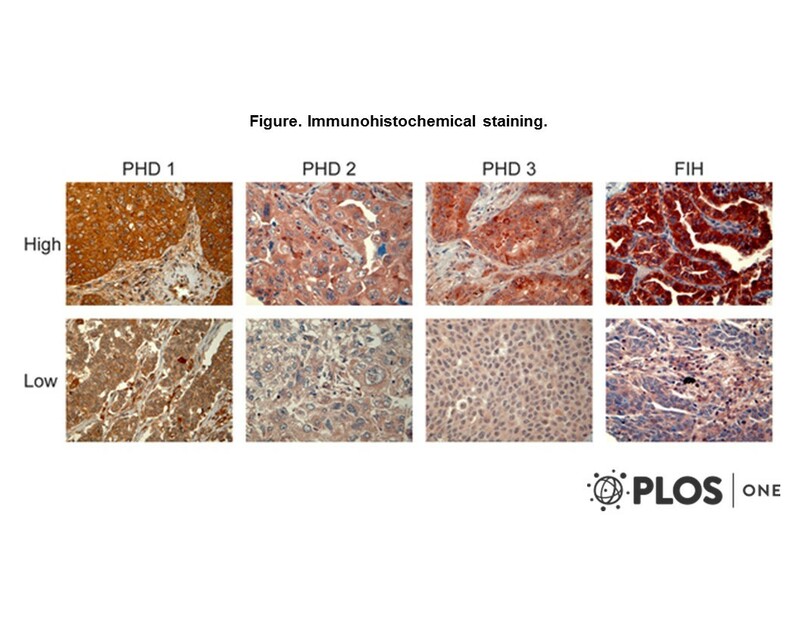 Overexpression of the HIF hydroxylases PHD1, PHD2, PHD3 and FIH are individually and collectively unfavorable prognosticators for NSCLC survival. Soilleux et al. 2005. Histopathology. 47(6):602-10. PMID: 16324198. 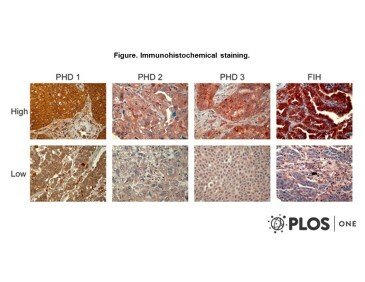 Use of novel monoclonal antibodies to determine the expression and distribution of the hypoxia regulatory factors PHD-1, PHD-2, PHD-3 and FIH in normal and neoplastic human tissues. Stolze et al. 2004. J Biol Chem. 279(41):42719-25. PMID: 15302861. Appelhoff et al. 2004. J Biol Chem. 279(37):38458-65. PMID: 15247232. Genetic analysis of the role of the asparaginyl hydroxylase factor inhibiting hypoxia-inducible factor (FIH) in regulating hypoxia-inducible factor (HIF) transcriptional target genes [corrected]. Differential function of the prolyl hydroxylases PHD1, PHD2, and PHD3 in the regulation of hypoxia-inducible factor.